NAMI Tallahassee is a branch of the National Alliance on Mental Illness (NAMI) that can help you locate resources near you to manage mental illness, get diagnosis and treatment, and find addiction treatment. Florida was the first state to institute drug courts in 1989 because so many people struggling with drug addiction ended up in jail rather than getting the help they needed. To send these individuals toward better legal and health outcomes, drug courts require community service, fines, and treatment program entry rather than jail time. Veterans can get treatment through a nearby Veterans Affairs (VA) hospital. The main location in Tallahassee offers residential and outpatient treatment options. The Florida Department of Children and Families (DCF) manages detox and rehabilitation services for state residents who need help. Tallahassee, Florida is the capitol city for the Sunshine State. Located in Leon County, in the Panhandle region of the northwest, Tallahassee does not have a coastline, but it has easy access to the Gulf of Mexico. There are close to 190,000 residents in the immediate metro area of Tallahassee, and unlike many cities in Florida, the residents tend to be younger; the median age is 26.5 years old. Because Tallahassee is one of the larger, northernmost cities, there are higher rates of drug and alcohol abuse here than several other places in Florida. The city is near state borders with Georgia and Alabama, so many people travel back and forth across state lines to party. Between 2014 and 2016, there were 60 drug overdose deaths in Leon County for every 100,000 residents, so the area around Tallahassee is not among the most deadly for people abusing drugs or alcohol in Florida, but it ranks higher than several counties. It is important to understand the most abused drugs in Tallahassee, and how both Leon County and the state of Florida are working to help residents of the metro area overcome substance abuse struggles. Leon County has among the highest rates of excessive drinking in the Sunshine State. Excessive drinking covers harmful approaches to alcohol consumption, including binge drinking, heavy drinking, and alcohol use disorder (AUD). In Leon County, 19.1 percent of the population reportedly engages in some form of excessive drinking. Nearby Gadsden County has a much lower rate at 15 percent, and larger counties like Miami-Dade (16.6 percent) and Broward (17.2 percent) report lower rates. Much of the excessive drinking problem in Florida is located in the northern part of the state, especially along the panhandle. Data from more recently reports that excessive drinking in Leon County may be on the rise. New information suggests that as much as 22 percent of the population now engages in these harmful practices, which can lead to addiction, fatal accidents, and chronic diseases. Leon County also struggles with a higher rate of motor vehicle accident deaths involving alcohol: 35.8 percent of car crash deaths involved alcohol compared to neighboring Jefferson County’s 26.9 percent, Broward’s 21.5 percent, and Miami-Dade’s 16.9 percent. However, nearby Gadsden County suffers a higher rate, at 43.6 percent. While heroin and illicit fentanyl are the main culprits of addiction, overdose, and death in much of the United States, including in Florida, there are still serious problems involving prescription opioid drugs in the Tallahassee area. For example, oxycodone was reported in 23 overdose deaths in 2016, of which it was the cause of death in 13 cases. Six of those instances involved just oxycodone leading to death, and the drug was reportedly mixed with other drugs in the remaining cases. Similarly, hydrocodone was involved in 15 overdose deaths, five of which were caused by the drug and three of which involved just hydrocodone. Methadone, a drug increasingly being used as a prescription painkiller, especially for those who have Medicaid, was involved in seven overdose deaths in 2016, four of which the drug caused; it was the only substance involved in just one instance. Morphine, a drug sometimes found in overdose deaths as a metabolite of heroin but also often found alone as a prescription drug, was reportedly involved in 20 overdose deaths, three of which were caused by morphine. Four cases reported that morphine was the only chemical in the body, and 16 instances reported that morphine was found in combination with other drugs. Heroin was found in just one overdose death in 2016, and it was found in combination with other substances. Fentanyl is increasingly produced illicitly and shipped into the United States mixed into heroin or cocaine, or sold in place of these drugs. This form of drug trafficking has caused a spike in opioid overdose deaths in recent years, devasting much of the country. In Tallahassee in 2016, there were reportedly seven overdose deaths involving fentanyl, four of which were caused by the potent narcotic. Two of those deaths involved just fentanyl; the drug may have been found with heroin or other opioids. Not only are opioids a deadly problem in the Tallahassee area, but other prescription drugs lead to overdose deaths as well. Between 2015 and 2016, the Florida Medical Examiners report found that there was a 60.8 percent increase in prescription drug overdose deaths just in Tallahassee. The Florida Medical Examiners report found that two benzodiazepines — alprazolam (Xanax) and diazepam (Valium) — led to several overdose deaths in 2016. There were nine deaths in Tallahassee involving alprazolam, and eight of those cases listed the benzodiazepine as the cause of death. One death involved just alprazolam while the others involved other substances like prescription or illicit drugs. There were six deaths involving diazepam, two of which the drug was the cause and four where diazepam was involved but did not cause death. None of those overdoses involved just diazepam; all involved other substances. Although prescription drugs are some of the more serious causes of death in Tallahassee, and opioid drugs of all kinds are killing many people, other illicit substances are still causing overdose deaths in Leon County. For example, cocaine continues to be a serious problem in Tallahassee. There were 32 reported cocaine-related deaths in 2016, with cocaine causing death in 14 instances. In five cases, cocaine was the only drug found in the body, but cocaine has long been mixed with other substances of abuse, especially alcohol and heroin. Although there was a spike in cocaine-involved deaths from 2002 to 2006, the rates steadily declined until 2016. In 2015, there were only 18 deaths involving cocaine. Leon County’s adolescents have historically abused illicit drugs at slightly higher rates compared to their Florida peers. 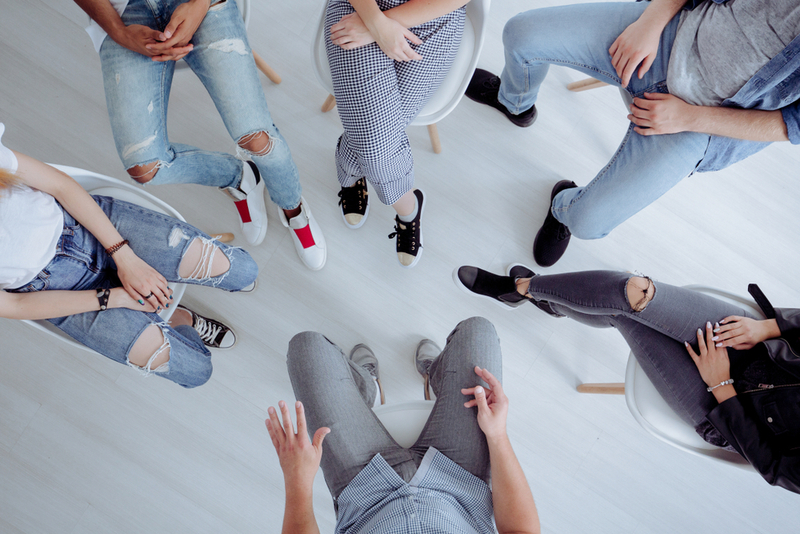 In 2010, the Florida Youth Substance Abuse Survey (FYSAS) found that about 20 percent of Leon County adolescents abused illicit drugs; the rate lowered to 10 percent when marijuana was removed as a factor. In Florida overall, 18 percent of young people abused illicit substances, which declined to 9 percent when marijuana was removed from the equation. 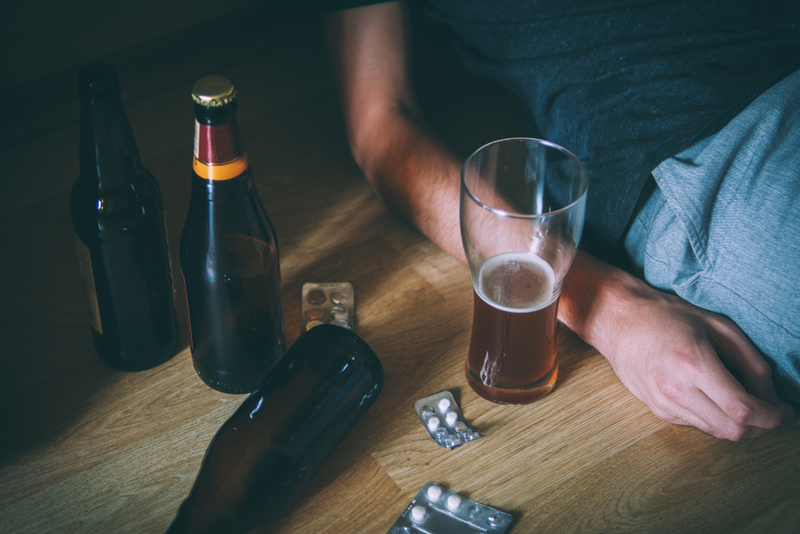 Substance abuse is a very serious problem impacting not just individuals, but entire families. Research shows that children whose parents abuse drugs or alcohol are more likely to suffer mental health issues and more likely to abuse alcohol or drugs themselves. These issues begin with inconsistent care and nurturing as infants, and they grow over time as the children experience ongoing neglect and higher risk of emotional and physical abuse. The family overall may struggle with financial and legal problems due to one or both parents suffering from addiction. One report from Leon County found that substance abuse contributed to 64 percent of child neglect and abuse-related deaths in the area. Over 65 percent of juveniles involved in the Florida Department of Juvenile Justice reportedly have a mental illness or substance abuse struggle. Leon County offers help to residents in Tallahassee and other areas in the county. There are many nearby options for treatment, so you can overcome your own drug or alcohol abuse without hurting your family. If you have a loved one struggling with drug or alcohol abuse, talk to them about getting evidence-based treatment and nearby options that may work best for them. Florida: Substance Use Disorder (SUD) Program. U.S. Department of Veterans Affairs. Treatment for Substance Abuse. (2014). Florida Department of Children and Families (DCF). Florida: Drug Overdose Deaths. (2018). County Health Rankings.org. Florida: Excessive Drinking. (2018). County Health Rankings.org. Drugs Identified in Deceased Persons by Florida Medical Examiners, 2016 Annual Report. (November 2017). Medical Examiners Commission. Methadone Prescribing and Overdose and the Association with Medicaid Preferred Drug List Policies — United States, 2007–2014. (March 31, 2017). Centers for Disease Control and Prevention (CDC). Leon County Health Status Assessment. Florida Health. Children’s Mental Health System of Care Community Needs Assessment, Leon County, Florida. (2012). Northwest Florida Earth Childhood Consortium.